Is as Baile Átha Cliath é Rónán, agus is fiontraí sóisialta é.
Mar dhéagóir rinne sé ionadaíocht ar Éirinn ar fhoireann Karate na hÉireann, ba chaptaen é dá fhoireann peile, agus ba uachtarán é dá chomhairle mac léinn. Mí na Samhna 2013 bronnadh Bonn Óir Gaisce air. D’oibrigh Rónán d’Unilever mar Phairtnéir Gnó Airgeadais agus bhí for-dhearcadh aige ar dhíolacháin Unilever Éireann leis an earnáil áise, ar fiú timpeall €30m in aghaidh na bliana í. In 2014 bhain sé céim Gnó agus Gaeilge amach, agus é ar barr a ranga. Bronnadh Bonn Seansailéara Ollscoil Bhaile Átha Cliath air i gcomhar Éachtaí Thar Barr, eadhon; chomh-bhunaigh sé, agus bhí sé in a chathaoirleach air, Cumann Raising and Giving (a raibh ina charthanacht óige is mó fáis). Is cumann mac léinn é a thugann chumhacht do mhic léinn trí obair dheonach, gníomhaíocht tiomsaithe airgid, agus forbairt maidir le forbairt fiontraíochta sóisialta. Ina chéad bhliain ba é cumann RAG an cumann ba mhó in DCU, agus bhain sé amach duais le haghaidh Cumann Coláiste Nua Is Fearr in Éirinn, agus thiomsaigh siad breis agus €100,000. Toghadh Ronán mar chathaoirleach Aonas Mac Léinn DCU agus threoraigh sé an feachtas chun Aontas Mac Léinn DCU a tharraingt isteach arís in Aontas na Mac Léinn in Éirinn, tar éis scaradh deich mbliana. 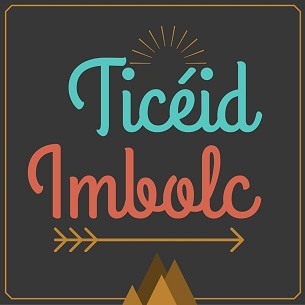 Bhí lámh aige i mbúna Na Gaeil Óga, an chéad club CLG taobh amuigh den Ghaeltacht a fheidhmíonn trí mheán na Gaeilge. Rinne Ronán ionadaíocht ar Éirinn mar bhuaiteoir chomórtas domhanda Enactus maidir le fiontraíocht sóisialta in 2012, agus rinne sé ionadaíocht chomh maith ar óige na hÉireann mar ionadaí ag an Aontas Eorpach, UNESCO, One Young World, agus na Náisiúin Aontaithe. In 2015 toghadh é mar Young Global Shaper ag an bhFóram Eacnamaíoch Domhanda agus is ball é de ChangemakerXChange, an líonra comhoibrithe is mó ar domhan d’fhiontraithe sóisialta faoi bhun tríocha bliain d’aois. Faoi láthair tá Rónán ag bunú SEDCo, a bhfuil sé mar aidhm aige tionchar claochlaithe a bheith aige ar sochaí na hÉireann.